Finding unique, well designed and affordable gifts can be a bit of a task and I do always like to try and support independent where I can over Supermarkets and Amazon, or at the very least mix it up. So it's nice to discover Toyhood Store where most of their toys and gifts are under £10. I love anything kitsch, colourful and nostalgic, you can never have enough! I much prefer buying these types of gifts as they always bring back memories from my own childhood. Once you check out their website you will see endless gift ideas that catch your eye, loads of inspiration for parties and pressies. I find filling a vintage letterpress drawer or a house shelf with lots of little pieces is a really nice way to make a feature in a kids room, also a good way to keep it looking a bit tidier! Toyhood Store also have their very own range called Peppy Chow which is very much inspired by Kawaii and Japanese/Korean stationary and toys. We love these little Vintage Doll cushions which are a bargain at £3.99 each! I had fun picking my top picks from their website, all of which are under £10 and online now. They don't buy loads of stock but they do regularly update the site with all the lovely new things they keep finding from a host of mostly small UK and European brands. You can also sign up to their weekly newsletter to get 10% off your first order and there is free delivery over £40 too. 1. Safari Animal Carved Wood Pencil, £3.50 each. 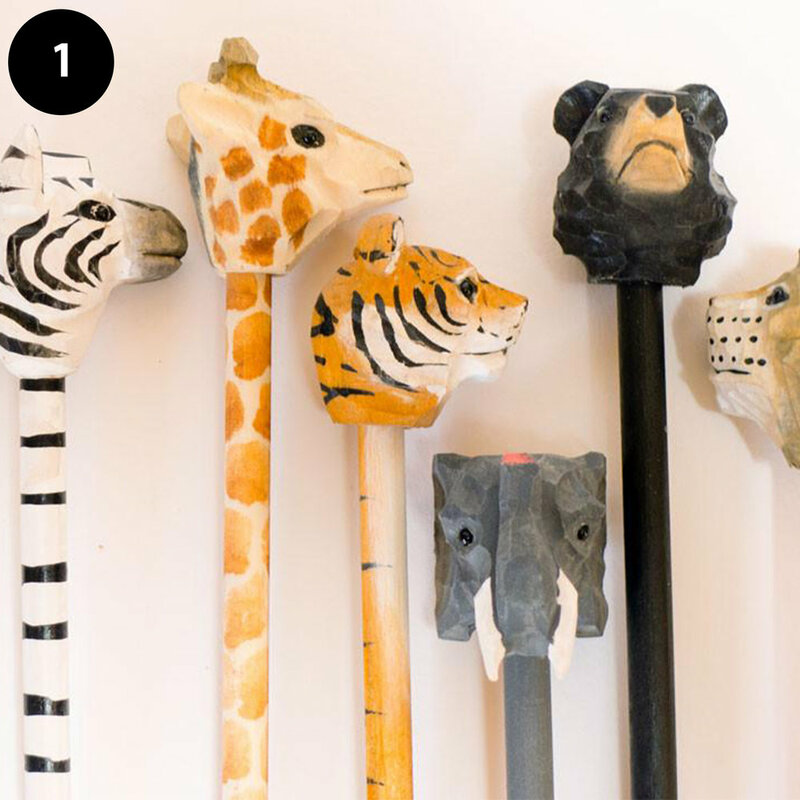 Pick from a Bear, Elephant, Lion, Tiger, Zebra or Giraffe. 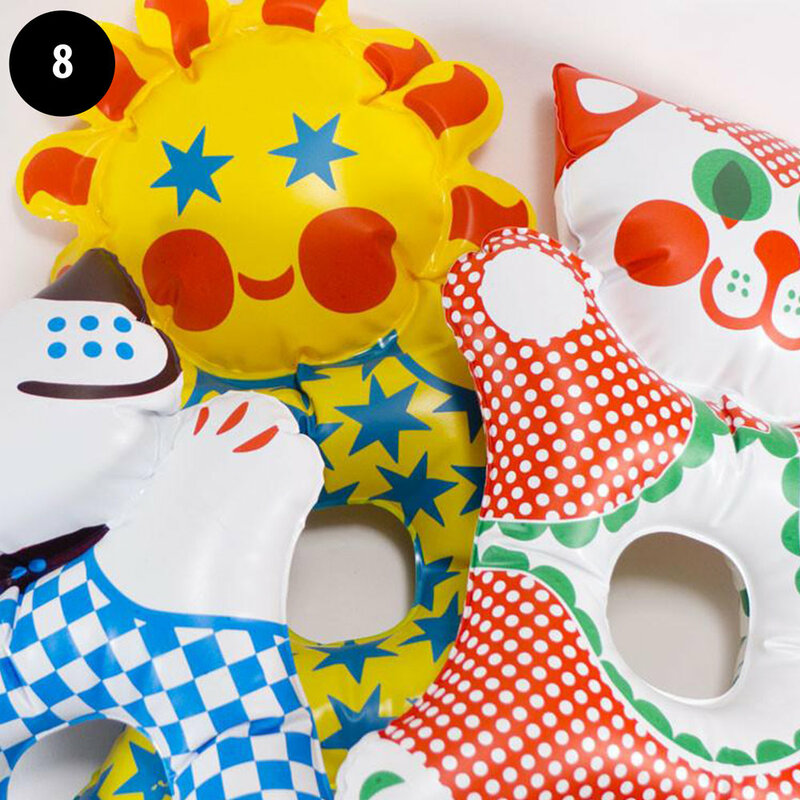 These would be the perfect goody bag filler for an animal themed kids party! 7. Charlie The Sausage Dog Wooden Pull Toy, £9.95. My kids are obsessed with sausage dogs, this is the perfect low maintenance family pet! 9. Sweet! Scratch & Sniff Stickers, £2.00 each. Perfect party bag gifts. 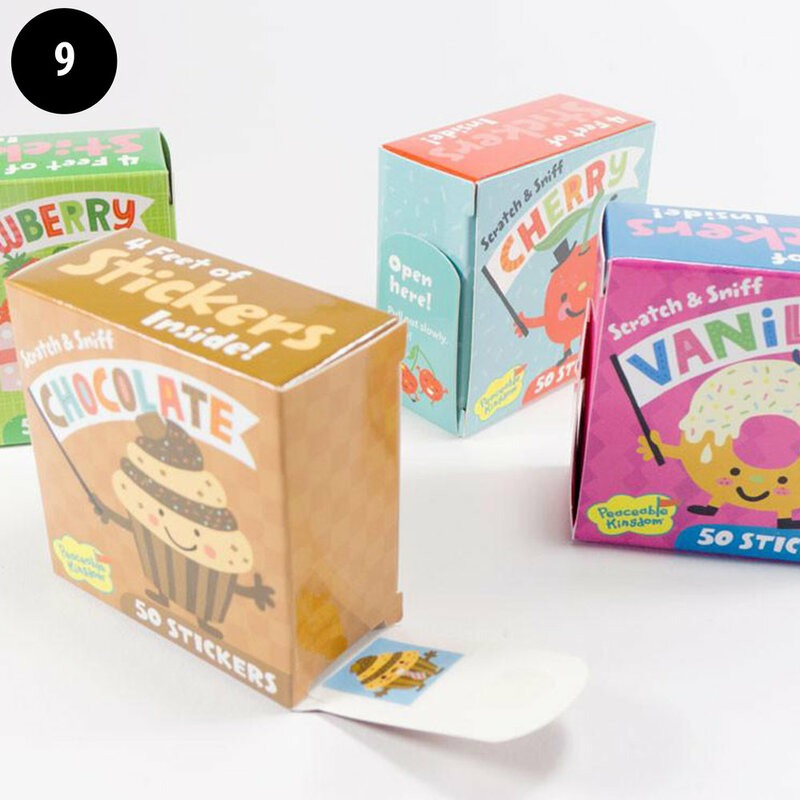 50 stickers in each, pick from chocolate, pizza, grape, banana, bubblegum and strawberry scents. 10. Fox Wobble Toy, £8.50. 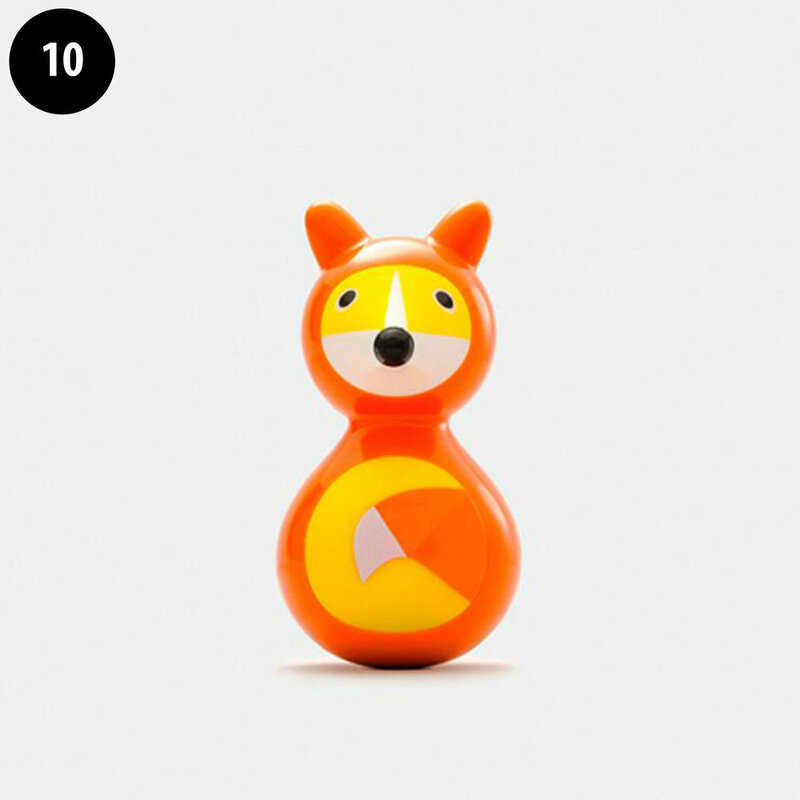 A fun wobble toy that I've picked for obvious foxy reasons! This will be in Finn's stocking at Christmas! 11. Bambi Ring, £3.50 each. Pick from 3 colours, who doesn't love a bit of Bambi bling?! This post was sponsored by Toyhood Store but please note all opinions expressed are my own.